The state of happiness, like everything we experience, is a choice. It also, like everything else, requires our attention in order to be initiated and then maintained. Please note, that we are not talking here about your emotional response to the external circumstances. The joy, sadness, anger or frustration you usually feel while reacting to people or situations – speak only of the state of your perception. Depending on your perception, you react and experience your life, yourself and the world around you in a particular way. Let’s concentrate on another layer of your experience, which may or may not be affected by your perception, or the level of your consciousness. And, we will call it the “state of being”. You have probably noticed that there are people in the world whose happy state of being defies any logic, any reasoning we’ve been used to. Those people remain happy no matter what the circumstances. Some of them are poor, uneducated, even illiterate. Some of them lead regular lives, have regular jobs, go through similar difficulties, deal with similar problems as the rest of our society. Some are richer, perhaps famous, some are truly well off. Some of them may be starving as we speak, somewhere in the depths of Africa. No matter what their backgrounds, and no matter what their circumstances, those people have one thing in common: happiness. It seems to be their natural state of being. We often think of such people as the lucky ones. We tend to say that they are “just born that way”. Here is good news for you: you too were born that way. Everyone of us has been born that way. Every single human being is born equipped with natural acceptance, curiosity and joy of living. The state of happiness is our natural birthright. What happens then that changes all of that? Why can some of us maintain the natural happiness, while others cannot? The first thing that probably comes to your mind right now is to find the answer in the actual life experience those people are going through. You would automatically think that they either haven’t experienced enough hardship in their lives or that, for whatever reason, the hardship they experienced was not big enough to truly affect their state of being. However, many of those people have lived through tragedies, life and death situations, oppression, abuse, anything you can imagine. Yet, nothing they have experienced left a truly significant mark on their state of being. They always have been, and always will be, happy people. And, it's not because they are not sensitive enough, or they don’t care enough, or they are dissociated from their life experience. They are happy because, knowingly or not, they found the simple truth about human conditioning. We feel in a particular way, because we've conditioned ourselves that way. There is an interesting characteristic to the human brain. It easily gets used to particular types of chemicals being released while we are experiencing certain types of emotions. The brain then gets hooked on those chemicals, and wants to feed on them, again and again. You might think of your brain as being addicted to those chemicals because they help it to re-create the same feelings all over. And so, the brain creates neuro-paths for the chemicals it is used to. Always hungry for more, the brain wants you to create circumstances in your life in which you will produce more of the same chemicals. Your addictive brain does not care whether you are happy with those circumstances or not, it just wants to get its feed. The good news is, that when you stop experiencing certain type of emotions, there is no further need for the related chemicals, and so the neuro-paths wither away. The brain will create new paths, to accommodate new chemicals, since whatever state you keep repeating, becomes the new habit for your brain. You can literary train your brain to feed on any chemical you want. And so, you can train your brain to be addicted to joy, happiness, sadness, anger, bitterness, misery – anything of your choice. All you need to do is to focus your thoughts on images, memories, ideas that make you feel in a particular way, and then keep repeating the procedure for about six weeks. It will give enough time for your brain to get rid of the old neuro-paths and create new ones. You can, indeed, fake the emotions for your brain to get used to them, in order to feel them later for real. The first step on your road to happiness is to get clear about your old wounds and painful memories. You have been used to perpetuating your thoughts around them. You have defined yourself and created your state of being based on those old memories. While your life goes forward, you have been stuck in the past. Remember, the past is only an idea in your Mind. It does not exist anywhere else. It is time to admit that and realize that you have been carrying old and heavy luggage filled with stuff that you don’t need anymore. You need to get rid of that luggage, leave behind the junk that is cluttering your space. Only then will you be able to free yourself from the old conditioning. 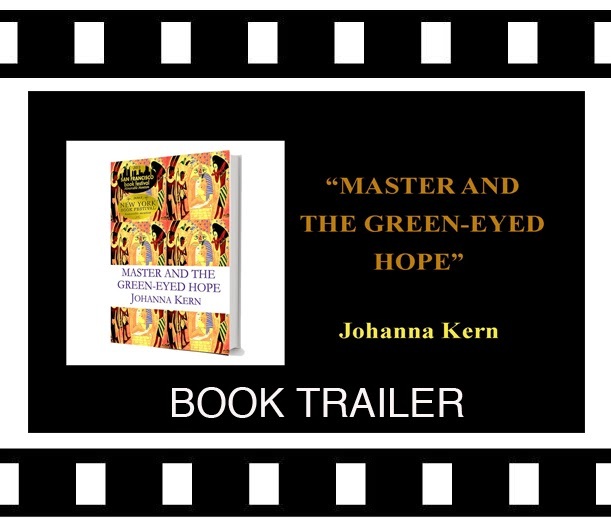 To learn more about the easy method of reprogramming please stay tuned for Johanna Kern’s upcoming book “The Keeper & The Chamber of 7 Powers”.